One of the most frustrating parts of running a small or medium sized business is out of control printing costs. While most inkjet printers only cost around 10 cents per page, if you’re printing a lot of documents this can quickly add up to astronomical amounts. In fact, some educational institutions have found that they’re spending thousands of dollars every week just to keep their ink cartridges topped up. If you’re looking to do some high-volume printing, even just ten or more sheets per day, nothing can save you more money than upgrading to a monochrome laser printer. Some people may scoff at the idea of going monochrome, but black and white laser printers usually produce sharper, clearer text than their ink based counterparts. If you held two pages in your hand, you’d immediately know which one was produced with a laser printer. For text, they simply produce a better-quality print at a fraction of the price. 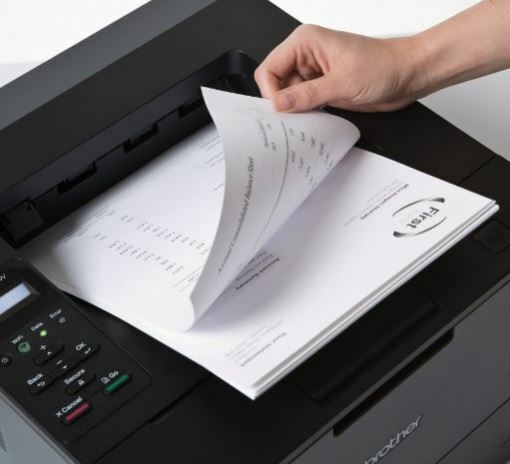 Today, we’re going to take a look at the four best monochrome laser printers on the market. We’ll explain what all of the specifications mean, then we’ll help you pick the one that’s right for you. Although the design has been modernized, HP has been producing printers with a similar form factor for many years. To the right of the paper tray, a small LCD display and a number of controls are available with the touch of a button. The upper tray is the output, and all your printed pages are stacked neatly there. The bottom tray slides out, allowing you to load it with your paper stock of choice. This layout will be familiar to almost anyone who’s used a printer before. While HP invented it, it’s been replicated by manufacturers all over the world. There is more than one way to accomplish any task, so it can be incredibly frustrating when one piece of hardware tries to restrict you to one or two communication methods. 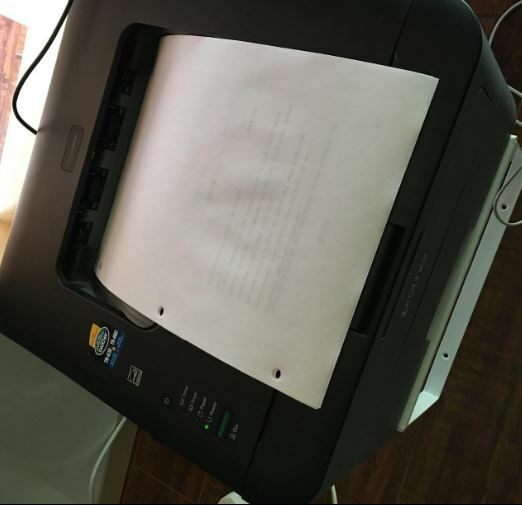 That’s why HP gave us several great ways to print our documents, even when we’re not physically in front of the printer. If you’re shopping for something that is easy to set up, or to replace an existing printer, you’ll be happy to hear that it’s fully compatible with wired networking. This printer has a built-in print server, so your computers will automatically see it pop up on the network. From there, you can just set it as the default printer and have all your documents go there automatically. Not using a desktop computer? Luckily, the printer is fully compatible with Apple AirPrint. This technology is widely used by mobile devices, and commonly accepted as one of the best wireless printing technologies on the market. If that’s not enough for you, the Easy Mobile Printing application makes it quick and easy to connect your android, iOS, or windows device to the printer and transmit your documents wirelessly. 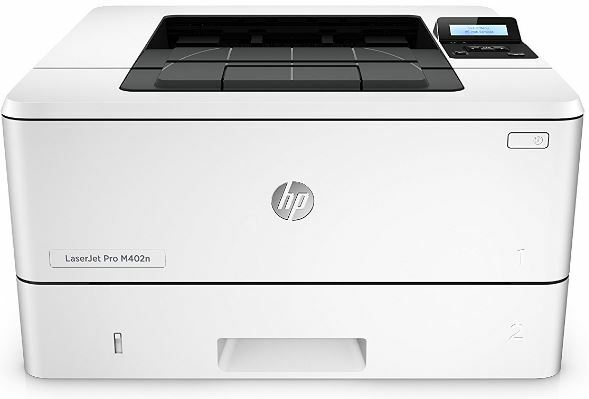 If you’re looking to print laser sharp documents at up to 40 pages per minute, the HP LaserJet Pro M402N is the best printer for you. HP estimates that this speed makes it suitable for 3 to 10 users, so we’d consider these estimates accurate. The upper tray can hold about 50 pages at once. If you have ten users all sending large print jobs, it’s possible that you’ll encounter scenarios where the tray is either full, or the printer is out of paper. But for 3 to 10 users, the speed and capacity is fantastic. One of the things we liked about this laser printer was how good the text looked. HPs toner produces a very deep black, creating professional looking pages with ease. Although we all want to buy the highest quality products we can, you often have to pay a premium for them. HP’s toner cartridges are a little pricey, putting the cost per page about 15% higher than competing models. That being said, you really are getting a lot for your money. Like we mentioned, the print quality is very impressive. 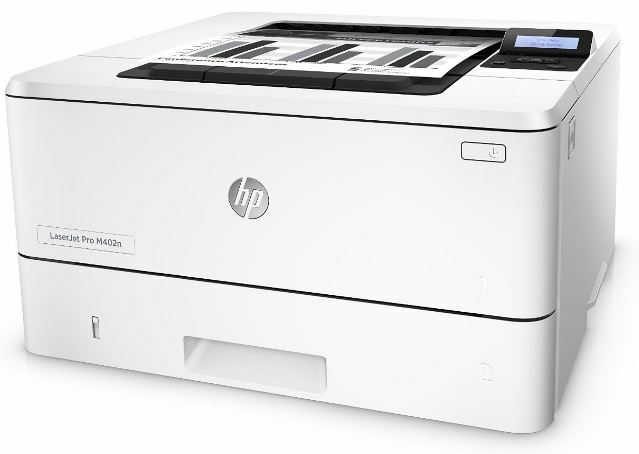 Plus, HP’s LaserJet Pro line is known for being incredibly reliable. You’ll often come across a 10+ year old LaserJet printer in the office. If you want a printer that will last you many years to come, the M402n is well worth the price. Brother is one of those companies that sticks to what they know best. They’ve been producing laser prinnters for many years, often focusing on the budget end of the spectrum. 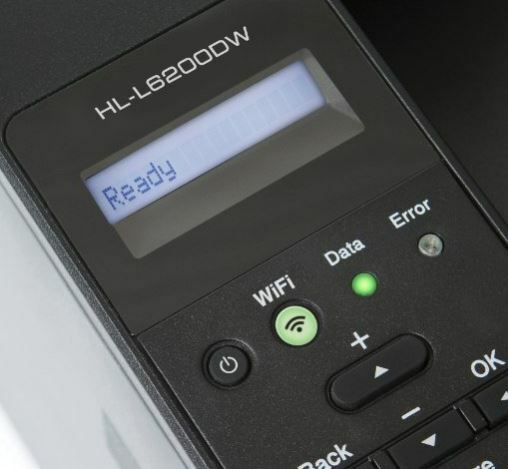 But when you want a printer that will perform, the HLL6200DW is the first model you should look at. 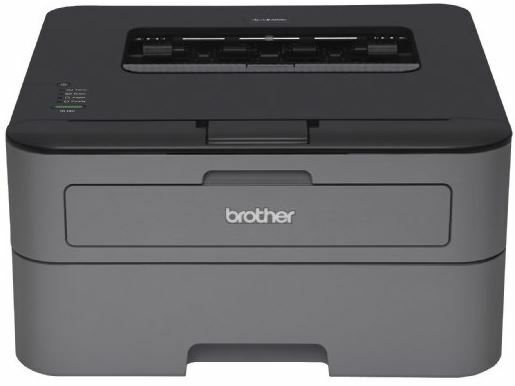 The Brother HLL6200DW is designed a little bit like a mirror image of HP’s LaserJet, but Brother’s famous charcoal black coloring makes it stand out from the crowd. It’s a little larger than some models on the market, but this allows it to pack some serious printing punch. The manual interface is easy to grasp. Generally, you’ll be using the “start” and “stop” buttons. These are incredibly useful to have. Ever start a 200+ page job and realize you forgot something simple like numbering the pages or selecting duplex printing? Hitting the big red stop button can save you both money and time. If the print job stops because you need to load paper or change the toner, you can simply hit the start button once you’re done to get your printing done as fast as possible. There are a few other directional buttons that let you navigate the menu, but you’ll likely find that these features are easier to access from the included software rather than on the small LCD display. In this day and age, we’re finding that more and more businesses are dropping wired Ethernet in favor of wireless only networking. Security has already caught up, and with high powered routers many businesses are finding that there is no benefit to wired networks. We expect to see this trend increase in the future, so the fact that the Brother HL5740DW supports 802.11b/g/n wireless networks is huge. All you need to do is enter your network name and password, and you’ll have all the advantages of a network attached printer without any of the fuss from running cables. 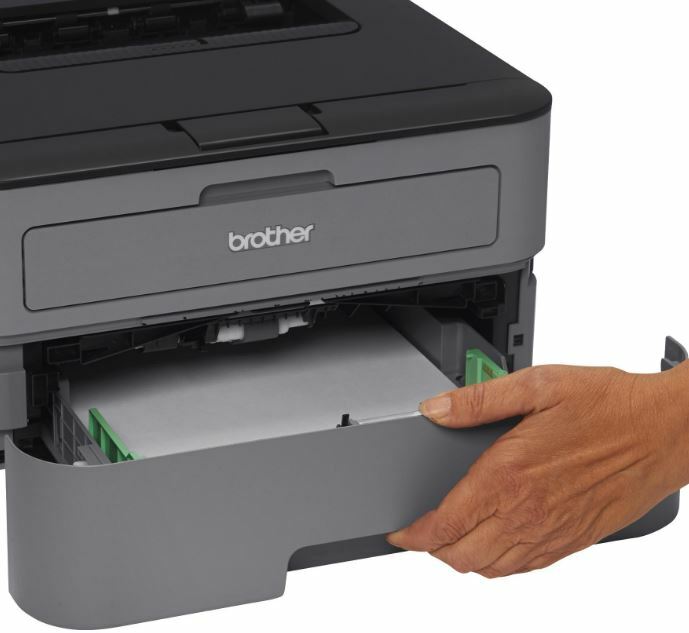 Whether you choose to use the Ethernet port or the wireless networking, Brother has a plethora of printing features allowing you to use it instantly from any device. It supports AirPrint, Google Cloud Print, Brother iPrint, Cortado Workplace, and Wi-Fi Direct printing. This makes it one of the most compatible printers on the market, allowing it to work with any device easily. Rated for a speedy 48 ppm, this printer is one of the fastest on the market. It didn’t perform quite as well as this rating in our tests, but print speed can vary from page to page depending on the amount of text and detail on each page. The important thing is that the printer can keep chugging along for ages thanks to the built in 570 page feed tray, all of which can be stored in the upper tray. It prints using an impressive resolution of 1200 dpi, giving both text and images a razor-sharp feel to them. 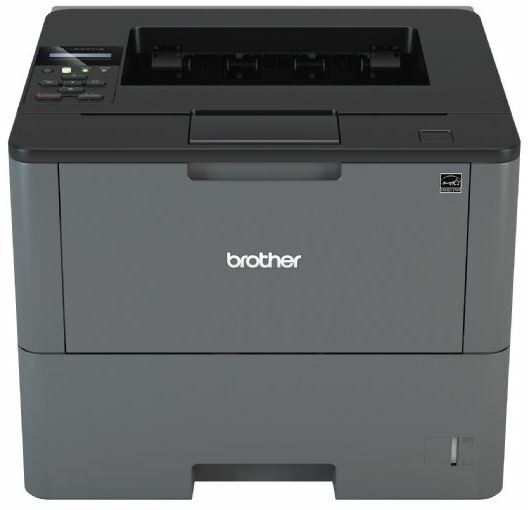 Brother is a company that focuses on value, and that’s why their printer is one of the most affordable on the market. They have a very low cost per page, and the addition of full duplex printing lets you print of both sides of a page to save even more money. You are paying a little more for the printer up front, so these savings will be noticed most by high volume users. 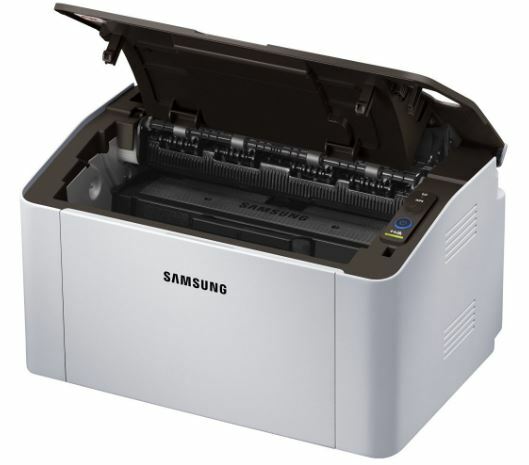 Although Samsung is a well-respected brand in the media and entertainment industry, very few people realize that they also make a great quality printer. They’re still trying to make a name for themselves, so they’ve priced their printers very low to attract attention. This makes them a bit of a hidden gem, giving you the opportunity to get a great deal. Samsung has never been a company to release an unattractive product, and the SL-M2020W is no different. In our eyes, this is one of the most attractive printers on the block. Although it’s very simple in nature, the two-tone silver and black design is more than just eye-catching. It’s the kind of printer we’d be proud to have on our desk, making it perfect for offices where space is at a premium. We were a little surprised to see how advanced the connectivity options were on this printer, given it’s low price. Of course, you can connect to it via USB. But it’s fully equipped to handle wireless networking. 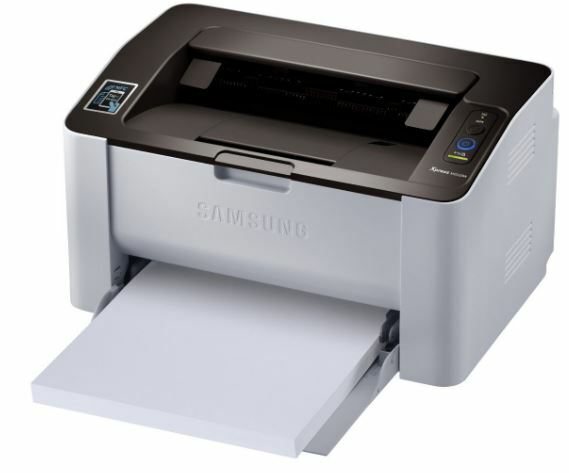 You can print using Wi-Fi direct, and Samsung’s free application can help you with this if you don’t know how. Using a mobile device? 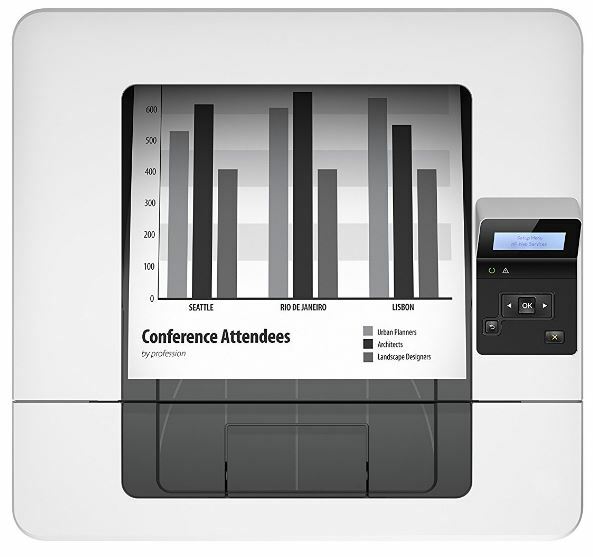 NFC allows you to simply walk up to the printer, open a document, and hold it near the face to start printing. It couldn’t be easier! This is a very compact printer, suited best for moderate volume printing. It can create black and white pages up to 21 pages per minute, and the paper tray supports a total of 50 pages at a time. It does support duplex, but you’ll need to flip the sheet so this isn’t a hands-off option. This is one of the cheapest monochrome laser printers on the market, so you really won’t find better value. As long as 21 pages per minute is a suitable print time for you, there is no sense in purchasing any other printer unless you need the higher capacity. Although we’ve already looked at one of Brother’s high end printers, the HL series is probably the one that they’re best known for. With the latest update to the HL series printers, Brother shied away from their high contrast white and gray design to focus on a subtler light and dark gray design. But the most impressive part about the design is just how compact the HL-L2300D is. While it has the same footprint as most, it’s only half the height. This makes it much easier to tuck away on a shelf, or somewhere that it’s always accessible but rarely in the way. 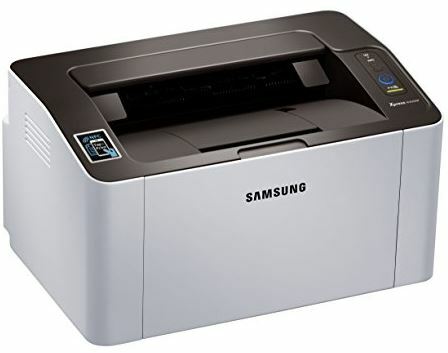 This printer is much more basic that other models, focusing primarily on print quality than connectivity. You need to use a USB type B cable to connect it with a computer. However, if that computer is on a network, you can easily share it with other computers on the local network. For such an affordable printer, you really do get incredible quality. This printer is capable of 2400 x 600 dpi. Since the vertical resolution is so much more detailed than most on the market, the text comes out as clear and as sharp as any top tier printer. It does take a little longer to print these high-quality pages, but the printer is still capable of an impressive 27 pages per minute. Although the printer itself is not the cheapest on the market, the ink is. You generally get more pages per cartridge than other brands, and they don’t tend to dry out like some. Whether you’re a medium or small business, you can’t get a better deal on a moderate volume printer. Which Monochrome Laser Printer is Right for Me? If you’re shopping for a monochrome laser printer, chances are that you’re looking for the most affordable way to produce moderate to large volumes of high quality text documents. When it comes to value, you can’t beat the Brother HL-L2300D. This printer produces excellent quality for moderate volumes, and has some of the lowest cost per page of any printer on the market. Still a little overkill? 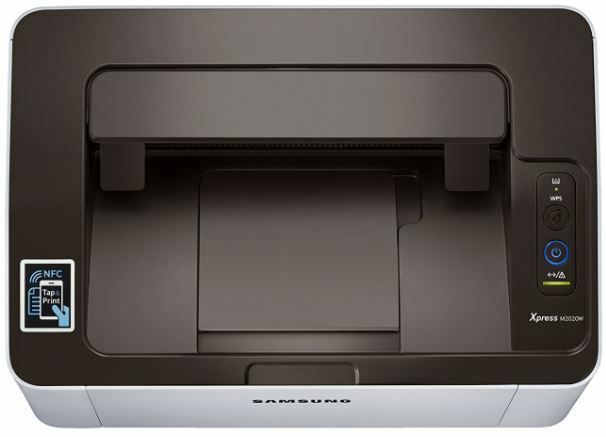 For those on a tight budget, Samsung’s SLM2020W/XAA comes in at almost the same price and trades reduced resolution for wireless connectivity. Some people might be reading this and thinking that neither of those printers produce nearly enough volume for their needs. In that case, you might want to consider the Brother HLL6200DW. This printer is capable of huge volumes and is extremely reliable. This is the king of monochrome laser printers, making it an excellent choice for anyone who has the money. Still not quite satisfied? 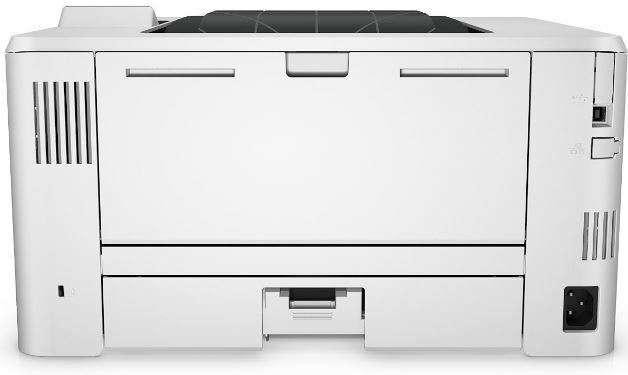 If you want to meet somewhere in the middle, the HP LaserJet Pro M402n is the most balance of all the printers we’ve looked at. It can do large volumes, is reasonable affordable, has tons of great connectivity options, and is easy to use. If we were forced to choose only one of the printers on our list, it would probably be this one. I think M402dw is wireless is that main difference? HP M402 is probably just a different package from the M401 (different color plastic??). The M401 is/was a great printer that I have owned for several years, great quality prints, etc. However it has a serious defect that one can read about all over the internet. 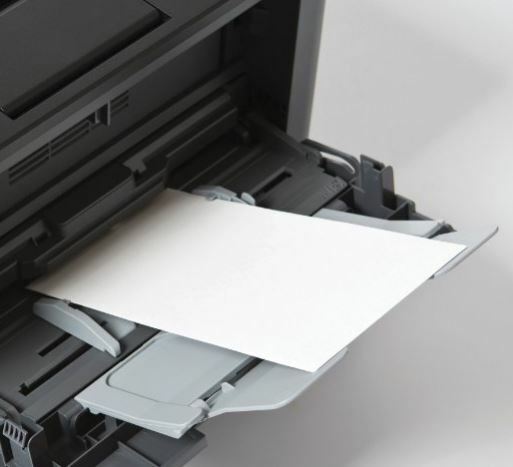 If a paper jam sets off the “Jam in cartridge area” flag, clearing the jam, blowing out the sensors with compressed air, or doing the long-term disconnect from power simply will not allow the printer to function. It stays stuck seemingly forever, and there are no solutions in repair manuals, or online that work. It is perhaps possible for an authorized repair center to clear the message, but the next time one piece of paper gets stuck, one is back to square 1 again. Hate this, am now looking at Brother, although the print quality is poorer.